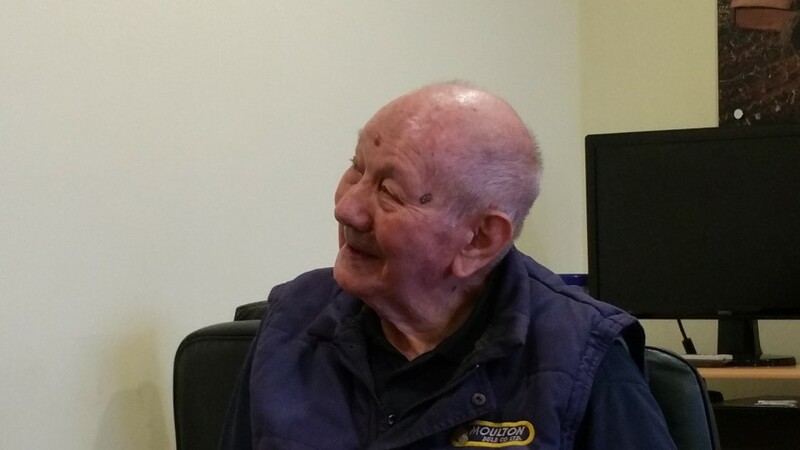 Eddie Peak, 95, retires after 22 years’ service. After 22 years’ service, War Veteran Eddie Peak has this week retired from Moulton Bulb Co. Ltd at the grand age of 95. Eddie, who was invited to a tea party at Buckingham Palace in 2012 as part of the Java Far Eastern Prisoner of War Club, has worked for the company first as a member of a labour agency, and more recently under direct employment. Chief Executive, John Grimwood presented Eddie with a cheque and a bottle of Champagne at a ceremony held at the Moulton firm earlier this week. John explained to a group of company managers and board directors how Eddie had worked for the company for many years and had seen many changes during that time and thanked Eddie for his hard work and continued service.